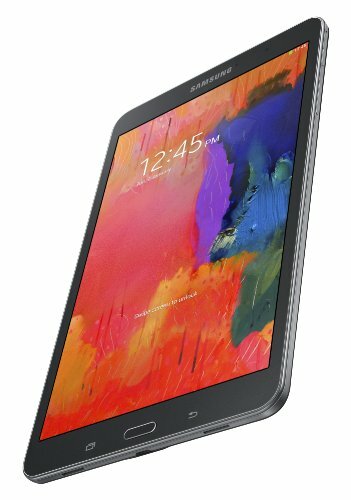 Samsung Galaxy Tab Pro 8.4 is a powerful Android tablet released back in the year 2014, which features a good size 8.4 inches touch-screen, a great Quad-Core CPU running at 2300 MHz, an 8 MP back-facing camera and a 2 mega-pixels front side camera. Let's take a deeper look at what this device can give us. 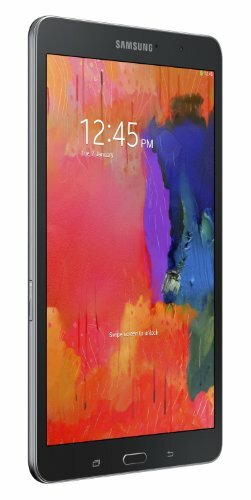 Samsung sells this tablet with a Qualcomm Snapdragon 800 MSM8974 chip, packing a high performance 2.3 gigahertz Quad-Core CPU with a huge 2 GB RAM. To handle graphic rendering, this tablet also uses a 450 MHz Adreno 330 GPU. 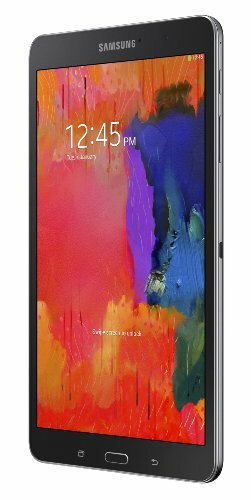 A great point of this tablet is its 32 GB large internal storage and an SD extension slot, which allows you to install hundreds of apps and even the largest games available nowadays without thinking about running out of space. Samsung has made a very nice job making this tablet as lightweight as 11.82 oz. 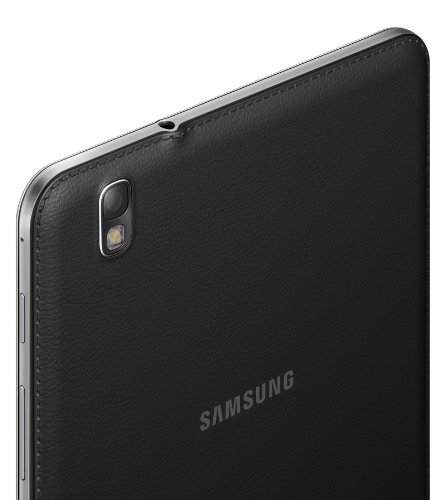 Being just 0.28 inches thick,the Samsung Galaxy Tab Pro 8.4 is extremely thin and practical. Although the Tab Pro 8.4 is only 8.62" long and 5.06 inches wide, it's still able to fit a a 8.4 inches screen. This tablet has two cameras, an 8 mega-pixels back-facing camera and a 2 megapixels front side camera. It also captures videos in Full HD 1920x1080 at 60 frames per second. In addition, this tablet's camera also features many amazing characteristics like flash, auto-focus, face detection shooting, HDR mode, smile detection shooting and geo tagging. The Tab Pro 8.4 is equipped with an awesome 8.4" display with a 2560 x 1600 resolution, which makes everything look perfect. Its display uses Super Clear LCD capacitive technology, and is multi-touch enabled. This tablet has WiFi connectivity (which can be shared with other devices around, as a mobile hotspot), LTE (4G) high speed data connection and also HSPA+ data connection, that is a bit slower 4G variation or fast 3G connection type, over HSDPA, HSUPA, UMTS and EDGE technologies. This tablet uses a SIM card for GSM services. This device also includes many interesting features like Bluetooth (4.0), GPS Navigation, Infrared Transmitter and NFC (Near Field Communication), and multiple sensors like Light Sensor, Accelerometer, Gyroscope and Compass. 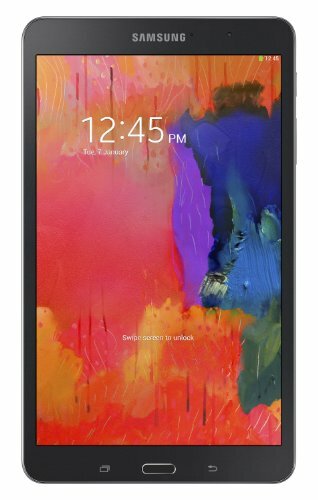 The Tab Pro 8.4 counts with an amazing 4800 mAh non-replaceable battery that provides the Samsung Galaxy Tab Pro 8.4 an incredible battery life. An issue to evaluate is that this tablet's battery is non-replaceable	so you can't throw it away and buy a new one when it begins to lose capacity, though with such a big battery you will probably discard this device before it becomes a real problem. This tablet is an amazing device and it's priced $ 779, which is similar to other similar tablets. This tablet is probably the right choice for you it doesn't matter whether you will use it as a work device, will use it as a social tablet, are looking for a gamer tablet or you love taking pictures.